An unwanted vehicle can easily become an eye sore to any home in any neighborhood. 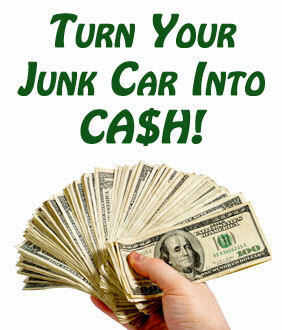 There are numerous benefits to scraping an unwanted vehicle. There’s immediate savings, by removing the car and turning it over, you can release yourself from any responsibility of the vehicle, such as personal property taxes and costly insurance premiums. If you allow a junk vehicle to sit on your property, you run the risk of driving yours and your neighbors home value down. I hope you’re not the neighbor everyone is talking about! Then there’s the environment around you? Allowing a car to sit can easily increase pollution. A rusty gas tank can leak fuel and harm the environment. The longer it sits the greater chance of unwanted animals and vermin to enter. Insects and vermin will make an abandoned vehicle a convenient home. There are many benefits to scraping a vehicle but most importantly, you can have piece of mind and money in your pocket. You can donate or sell us your used car. Depending on the vehicle, it can bring you extra pocket change. Once the vehicle is gone you can start to allocate your monthly funds somewhere else. Lets face it in this recession everyone could use a little extra money.